Early summer in Maine is a time to be savored. The lilacs have run their course, the lupine is blooming all along the roadside, and rhubarb patches are springing up everywhere. Rhubarb is one of the first fresh fruits of the season here. (Technically a vegetable, but we generally treat it like a fruit.) Rhubarb pairs beautifully with many fruits, but it is wonderful on it's own. It is tart and tough to start with, so it requires cooking to break down the fibers and a good amount of sugar to make it taste good. 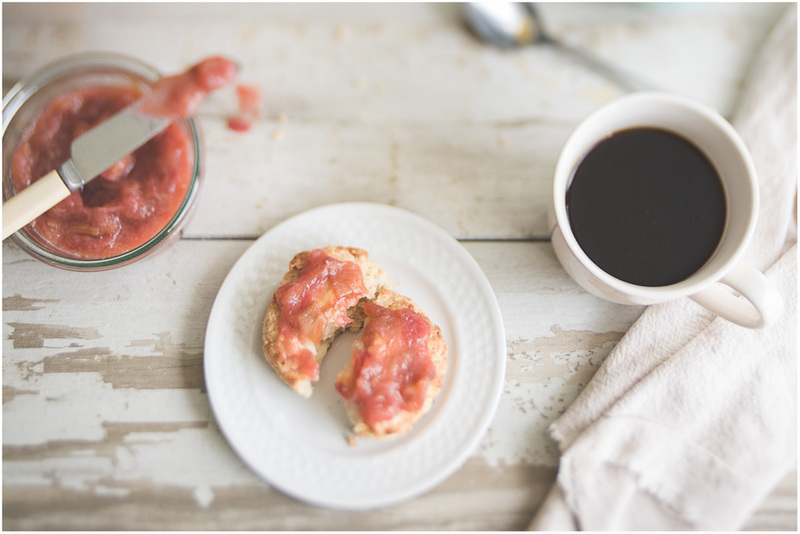 Jam is an excellent way to enjoy the tartness of rhubarb and making this roasted jam couldn't be simpler. 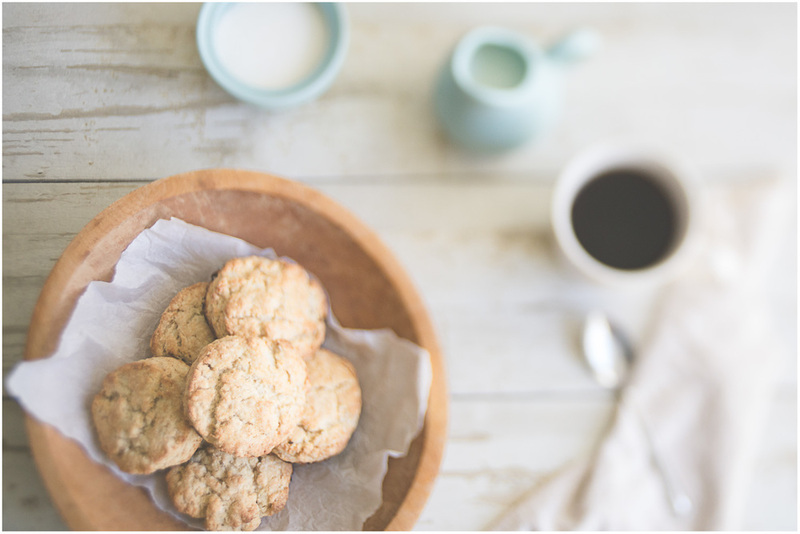 This recipe comes from Jennifer Perillo's book Homemade with Love, and I wish I had found it a long time ago. 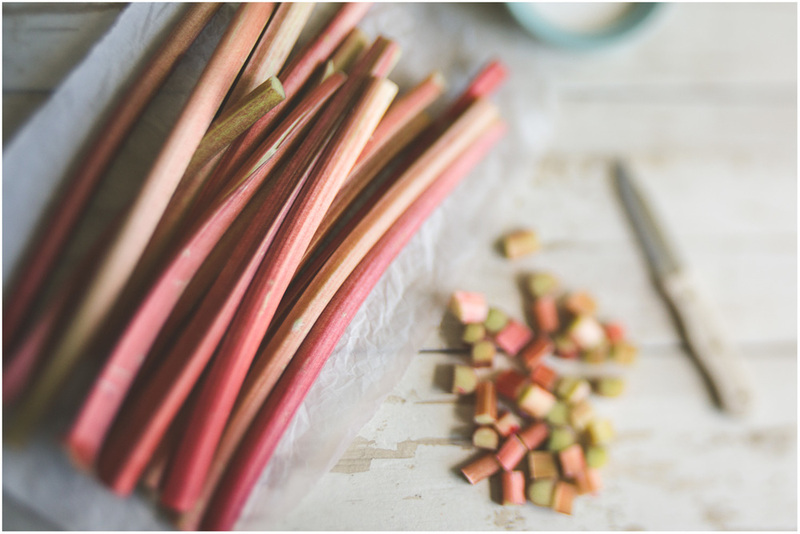 You simply cut the rhubarb stalks into chunks, sprinkle on sugar, and roast for about 20 minutes. 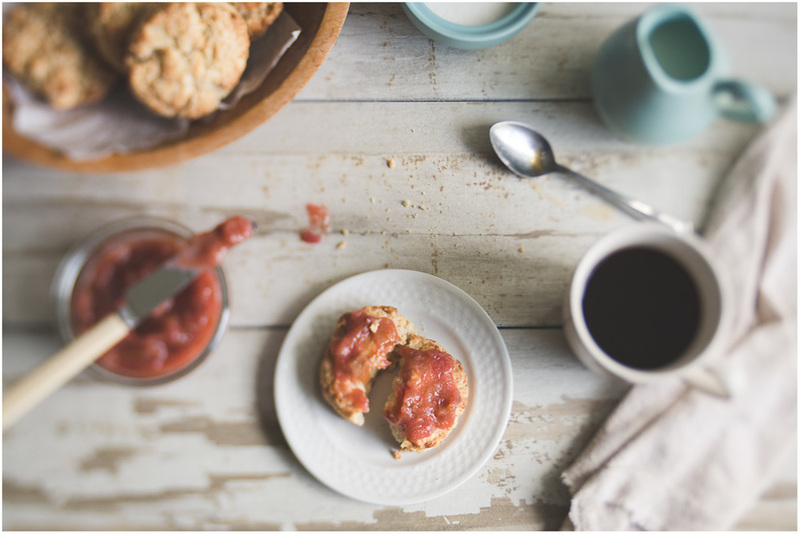 The high temperature breaks the rhubarb down and a quick stir mashes the fruit and brings it all together into a simple jam. This version will last in a sealed container in the refrigerator for about 2 weeks. I highly recommend it on toast or scones, especially if the scones are slightly sweet, like Brown Sugar Scones. Heat the oven to 400 degrees. 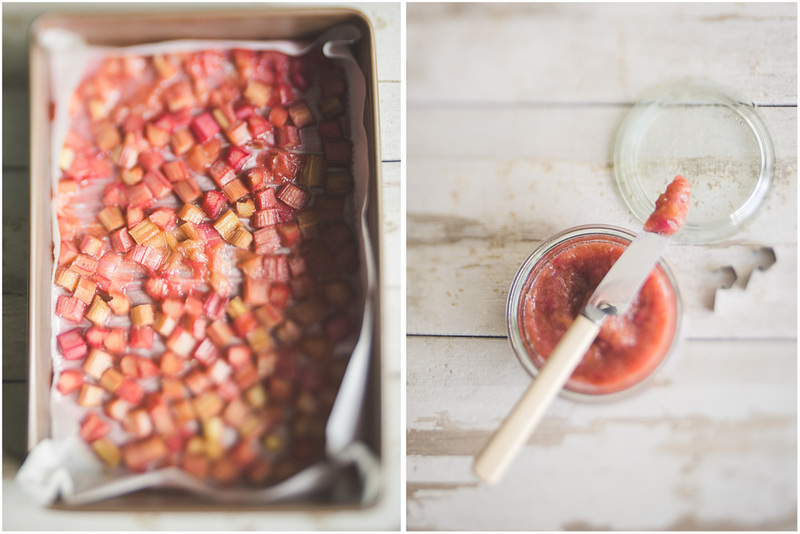 In a 9x13 baking dish, toss together the rhubarb and sugar. Bake for 20 minutes and check. It should be bubbly and the rhubarb should mash easily with a spoon. 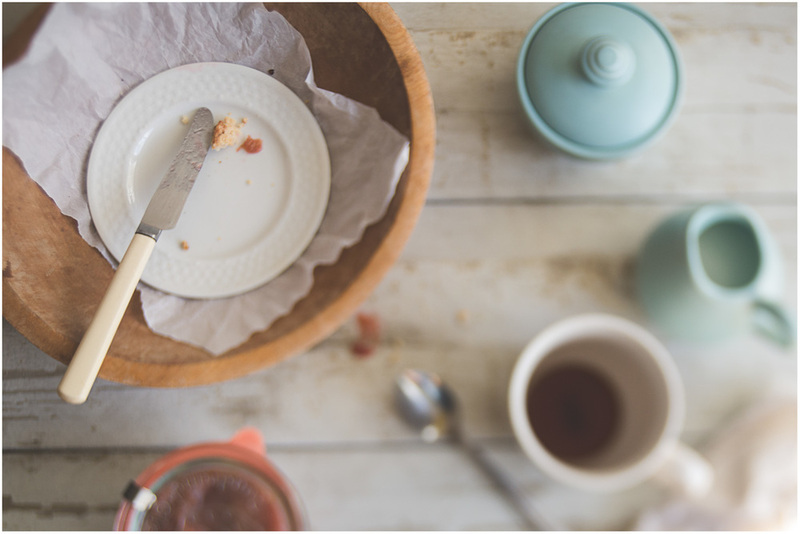 You may need an additional 5 or so minutes if your rhubarb is particularly tough. Remove from the oven and allow to cool completely. 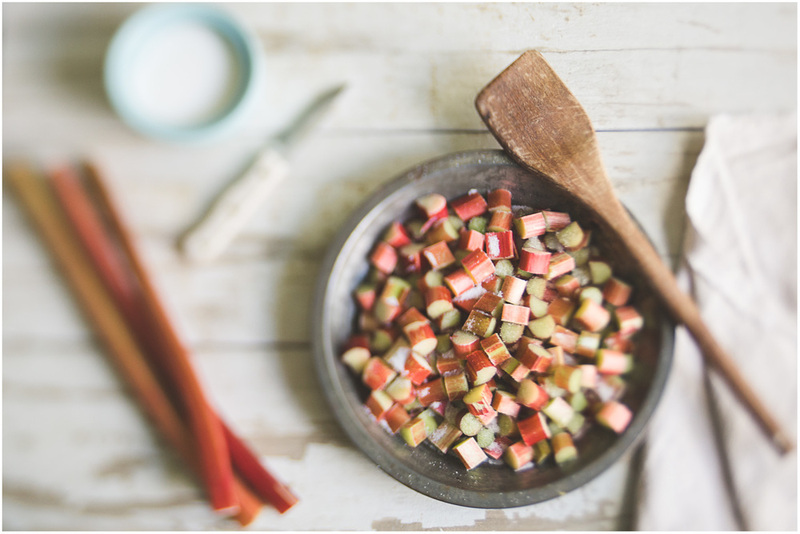 Give it a stir to mash up the rhubarb and fully combine with the sugar. Transfer to an airtight container and keep refrigerated. It will keep for about 2 weeks, if you don't eat it first. Recipe makes about 1 cup of jam.